The Missouri House of Representatives wrapped up the first half of the legislative session and reached its annual Spring Break this week. The first two-and-a-half months of the 2015 session saw the House move legislation out of committee at a near record pace. To date, House committees have voted out more than 200 bills and another 40 plus consent bills. In comparison, the House passed only 200 non-consent bills at this point in time in the 2011 and 2012 sessions combined. Like many other states, Missouri has seen many businesses close up shop in recent years to seek greener pastures outside the borders of the state, and the nation. For some that has meant moving their operations to Mexico or even India where they can keep costs down and profits up. This week the House took action to address the problem by passing legislation known as the Bring Jobs Home Act. The bill was approved by House members from both parties with the goal of keeping businesses and jobs in Missouri where they can go to Missouri residents who are ready and willing to work. Also, the House sought to improve the state’s Amber Alert System that is used to alert Missourians when a child goes missing. The House passed HB 635, which is known as “Hailey’s Law” in memoriam of a 10-year old Springfield girl who was abducted and murdered last year. 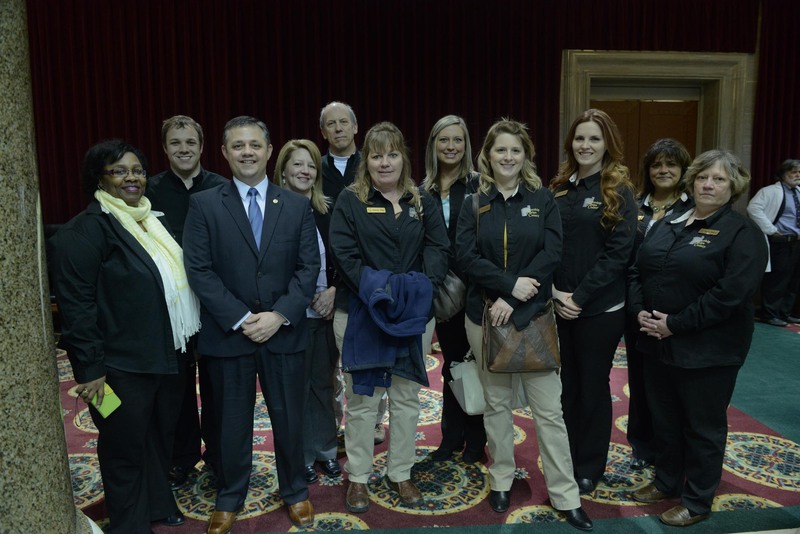 The Missouri House wrapped up the first half of the legislative session and reached its annual Spring Break this week. The first two-and-a-half months of the 2015 session saw the House move legislation out of committee at a near record pace. To date, House committees have voted out more than 200 bills and another 40 plus consent bills. In comparison, the House passed only 200 non-consent bills at this point in time in the 2011 and 2012 sessions combined. The heavy workload of the committees has resulted in many bills coming to the floor for discussion, and the House has already passed several of the Majority Caucus’s priorities and sent them to the Senate. Already this session the House has approved bills to make Missouri a Right-to-Work state; restore medical malpractice damage limits; protect the integrity of the elections process by requiring a photo ID to vote; and solve the school transfer problem to give kids in failing districts new opportunities to learn. In addition, the House has passed a balanced, fiscally responsible $26.1 billion operating budget that will take K- 12 education funding to record levels. The House added to its list of accomplishments this week as it passed several more bills of importance. To do that, the Bring Jobs Home Act would allow for businesses that move back to Missouri to take a tax deduction of up to 50 percent of the eligible insourcing expenses associated with eliminating a business outside the state and reestablishing it in Missouri. The bill also includes several safeguards, including a cap on the deduction and a sunset, to ensure companies cannot exploit the incentive. Supporters of the bill said its primary goal is to bring jobs back to the United States, and specifically to the state of Missouri. They called the legislation a simple but effective step the state can take to help create more of the good-paying jobs Missouri families need and want. The Missouri House took action this week to improve the state’s Amber Alert System that is used to alert Missourians when a child goes missing. The House passed HB 635, which is known as “Hailey’s Law” in memoriam of a 10-year old Springfield girl who was abducted and murdered last year. Hailey Owens was abducted while walking home from a friend’s house in February of last year. Because of the current complicated and tedious process to issue an Amber Alert, it was two hours before one was put out for Hailey’s abduction. After Hailey’s tragic death, her family called for a faster process for issuing alerts, which they believe could have saved her life. The bill passed by the House this week would integrate the Amber Alert System into the Missouri Uniform Law Enforcement System so that the process is streamlined and expedited. It also would require the Amber Alert System Oversight Committee to meet at least annually to discuss potential improvements to the system. I recently filed House Bill 1216 and it has now been referred to the Committee on Transportation. The bill states: “The bridge on State Highway 19 crossing over the Meramec River in Crawford county between the cities of Cuba and Steelville shall be designated as the “Betty Vickers Memorial Bridge”. The department of transportation shall erect and maintain appropriate signs designating such bridge, with the costs of such designation to be paid for by private donations.” I filed this bill because Ms. Vickers played a key role in advocating for the widening and enhancement of the bridge over the years. While my fellow legislators and I heard a great deal of legislation on the House Floor this week, we also met with some great individuals. I was honored to visit with several members from Leadership Phelps County about the Capitol and how the legislative process works. 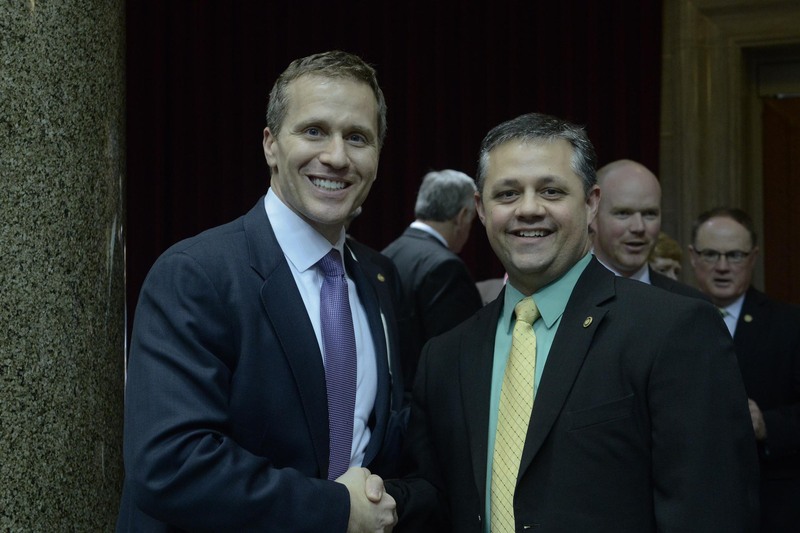 Also, the House received a visit from Eric Greitens. Eric was born and raised in Missouri. A Navy SEAL, Rhodes Scholar, boxing champion, and humanitarian leader, Eric earned his Ph.D. from Oxford University. He did research and documentary photography work with children and families in Rwanda, Albania, Mexico, India, Croatia, Bolivia, and Cambodia. The founder of The Mission Continues and the author of the New York Times bestseller The Heart and The Fist, Eric was named by Time as one of the 100 most influential people. Fortune magazine also named him one of the 50 greatest leaders in the world. Last month Eric also launched an exploratory committee in his consideration to run for governor. The Believe in Missouri Scholarship will be awarded to a constituent going back to college to pursue a bachelor’s or master’s degree with WGU Missouri. A college degree is a necessity now more than ever! The Believe in Missouri scholarships are valued at up to $2,000 and are being provided by WGU Missouri based on legislative districts throughout the state. They are designed to help working adults reach their dream of a degree in a format that fits their lives. WGU Missouri is Missouri’s online university, providing bachelor’s and master’s degree programs that are respected and accredited. Residents can earn a degree in business, information technology, teacher education, or healthcare (including nursing). Tuition is only about $6,000 per year, and students may take as many courses as they can complete within each term. To be eligible for a Believe in Missouri scholarship, an applicant must be a new WGU student, and be officially admitted to WGU. Applications are being accepted at missouri.wgu.edu/believe. This entry was posted in Government and tagged capitol, chipman, jason, report on March 19, 2015 by Representative Jason Chipman.